The fascinating world of Lely robotics continues to grab attention in a recent article by Utah based publication, The Herald Journal. The author, Clark Israelsen, is a Cache County Extension agent specializing in agriculture. Klark Gailey, manager of Dairy Systems Inc., recently hosted an interesting gathering at the USU Caine Dairy Farm in Wellsville. There, representatives from the Dutch agricultural firm Lely led an interesting discussion on robotic dairy equipment. 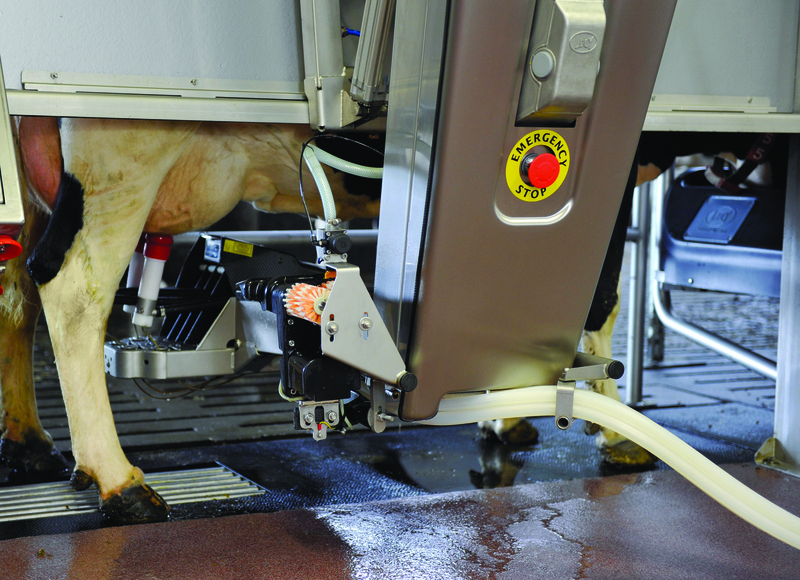 Presenters suggested than any repetitious, labor intensive activity such as manger sweeping, corral scrapping, calf feeding or cow milking can easily be done with robots that are programmed to do the same thing over and over again. Sensor and motion-vision based robotic systems make these “agribots” more clever, safe and adept than ever before. An added benefit is that robots can work all day and all night without a break. Robots hiss, hum and whir as they handle chores that are tedious and mundane. They don’t require health insurance or immigration clearance and they never quit to take a higher paying job elsewhere. It is exciting to see how far we have come from the days of milking dairy cows in flat barns like my father did for 90 years. Our efficiency in producing and harvesting agricultural products will only accelerate as we stretch limited resources to feed a growing population. Lely agrees that this is an exciting time for dairy technology and encourages all producers to learn more about what Lely automation can do for you and your operation. Visit www.lely.com/en to learn more about our full line of products. Visit the Lely North America YouTube channel to hear from producers currently Living Life Lely. Be sure to read the full article by clicking here.